Please note: You must register by 5:00 p.m. the Wednesday before your program is to begin. Prices, content, dates, and times are subject to change without notice. 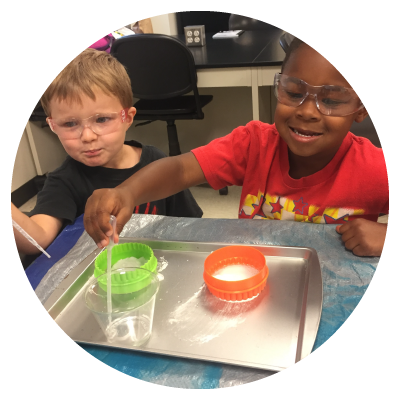 Make “sense” of STEM with our Sense-sational Science camp! Explore all five senses highlighted by making your very own chemical engineering concoctions. See chemical reactions change color, feel their temperature change, and touch our gooey polymers! Gain a sense of how fun and engaging science can be by exploring your senses! Join us and get in touch with your inner scientist! Activities: Create and touch kinetic sand, engineer your very own scratch and sniff paint, and investigate robots that have "senses." Highlight:Each day will highlight different senses as we explore through sight, sound, taste, smell, and touch. Build your skills and perseverance as you learn to tinker using new and recycled materials and tools. Practice your problem-solving skills as you play your way through engineering challenges in a fun and safe environment. Program robotic bee-bots to solve your maze. Learn how to make a balancing robot! 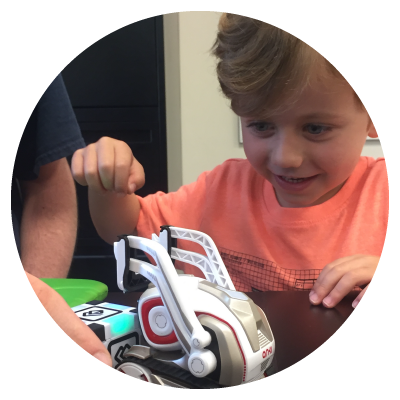 Come join the rest of the tinkering tots this summer and develop your engineering knowledge together to get ready to start school this fall! Once upon a time long, long ago there was a fairy tale character with a real problem that needed a solution. Abracadabra - engineering to the rescue! Help characters like Jack-in-the-Beanstalk, Goldilocks, and the Three Little Pigs find their happily ever after. Using these characters and familiar fairy tale stories as inspiration, we will solve the problems in the story through engineering. Even the big bad wolf is sure to be enchanted by engineering! Activities: Use engineering skills to build beds that are “just right” for Goldilocks, bridges that are sound proof for the 3 Billy Goats, and even a house that can keep out the big bad wolf through our special engineering contraption! Highlight: Make literacy connections by analyzing fairy tales to identify problems that can be solved through engineering and use the engineering design process to create project-based solutions. LABracadabra! Discover the magic of science while investigating colors, light, magnetism, static electricity, vibrations, and gases. Create your very own magic wand and cast a levitation spell. Learn how to make oobleck and then walk on it! Is it magic or science? Join us and find out for yourself as we continue celebrating amazing science and engineering all week long. 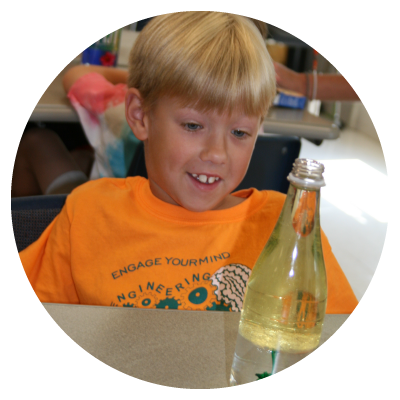 Activities: Create fireworks in a bottle, make a rainbow of bubbles, write messages in disappearing ink, and more! Highlight: Understand the magic of science through hands-on, engaging activities in a safe and fun environment. 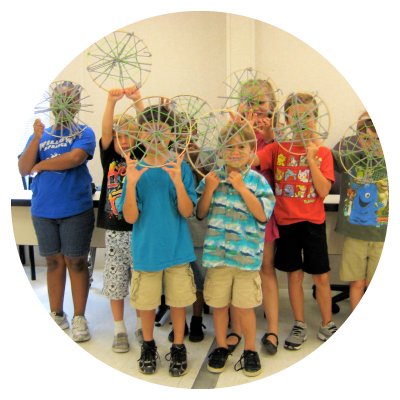 Put your brain to work while you explore Aerospace Engineering in this nature inspired camp. Investigate how birds have inspired engineers to build flying machines and build one of your own! Discover other animals that fly - even some that don't have wings! Use these creatures as inspiration for daily design and creation sessions in which you will build and test your own flying animals. 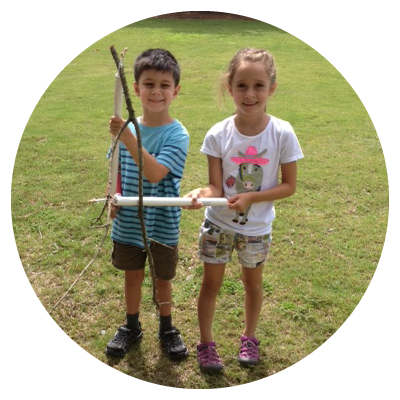 Your imagination and engineering skills are sure to take flight with this camp. Highlight: Use the engineering design process to create different flying objects that use the same principles as different animals such as birds, fish, bats, frogs, snakes, butterflies, and even plants! 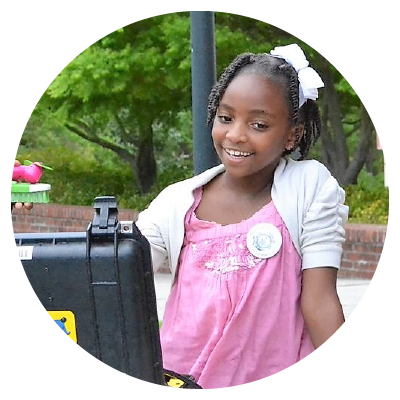 What do you get when you combine engineering with a kid's imagination and curiosity? Gadgets, doohickeys, and thingamabobs, of course! Spend a fun-filled week designing, building, testing and playing with toys that you engineer. Each toy will be based on a different type of simple machine and have moving parts. These gadgets are sure to bring out the mechanical engineer in you! 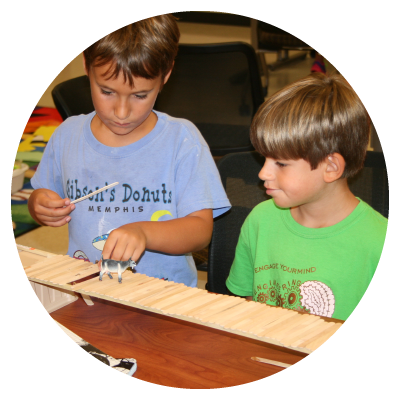 Activities: Learn how simple machines work; design a tool, make grabbers, and a puppet theater. Highlight: Use engineering skills to build machines and gadgets. Did you know that beavers, bees and birds are some of nature's most talented engineers? Join us for a week of engineering and biomimicry excitement learning how curious critters construct some of nature's most remarkable structures like spider webs and coral reefs. Discover material science and have fun building while developing your engineering skills. Activities: Investigate bee hives, spider webs, bird nests, and more. Engineer a model beaver dam. Highlight: Use engineering skills to build a natural structure inspired by a different critter each day such as birds, spiders, bees, beavers, and more. Calling all blockheads! Put your construction skills to good use exploring Civil Engineering. 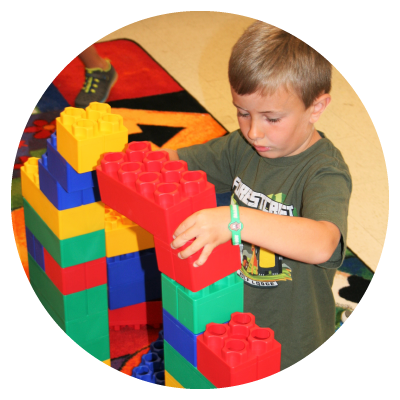 Design and build structures out of different sizes and kinds of blocks, including giant Legos. Engineer walls, arches, bridges, towers, and stairs and come up with ways to reinforce and stabilize them. Make your creations strong because our camp wrecking ball will try and knock them down! Blockheads are sure to roll before this camp is over! Activities: Build walls, towers, bridges and more while having fun testing them and making them as strong and sturdy as possible. Highlight: Use the engineering design cycle to plan and construct various structures both individually and in teams out of our giant blocks.